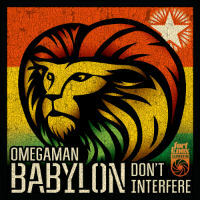 Always worth checking out, Fort Knox Recordings Oz’ signing, Omegaman, has a new EP out – Babylon Don’t Interfere. Do I sense a reggae vibe? I certainly do. Cue the chugging feelgood rootsy anthem of the title track which features Desi Hymon on vocals delivering a righteous message. Also present is tropical heat of Happy Ending Whisper Song which features DC soul sister Edy Blu and pays an uplifting tribute to the sadly departed Jon Horvath of Fort Knox Five. This being an EP – you also get the instros of both cuts too. Word on the street is that there’s more to come in the way of collabs from Omegaman and Edy Blu so keep your eyes and ears peeled. 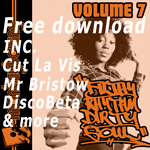 Chart Fort Knox Five disco Jalapeno Records latin Renegades Of Jazz BBP reggae breaks video Badboe Tramp Records Jazz Remix glitch-hop The Allergies Morlack psych nufunk vinyl trip hop Free download Breakbeat Paradise Ewan Hoozami Basement Freaks Rory Hoy review Fort Knox Recordings Dirty Dubsters ghetto funk hip-hop Soul 7" Bulabeats Funk Electro swing Mr Bristow Record Kicks Smoove vinyl 7"